CCN completes one life cycle annually, with juveniles hatching and invading roots in early and midspring. CCN hatching is dependent on moisture and temperature. Nematodes tend to produce the most cysts on small grains in sandy, well-drained soils and in cereal production systems lacking rotation. Greatest yield loss occurs when dry land production systems experience late-season water stress. Resistant wheat varieties exist that prevent CCN reproduction. 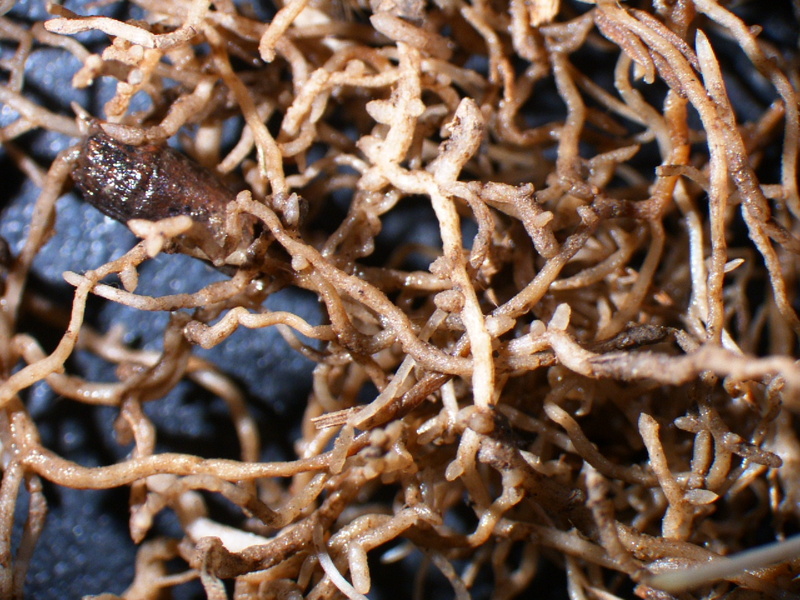 Because root invasion occurs before resistance is activated, some resistant varieties may not produce acceptable yields as they are intolerant of CCN invasion. The best varieties have resistance and CCN-invasion tolerance, and can produce near-normal yields. Rotation to a non-host crop for at least two years significantly reduces CCN in soil. Other effective rotations include a non-host crop plus a fallow year between susceptible wheat or barley crops. 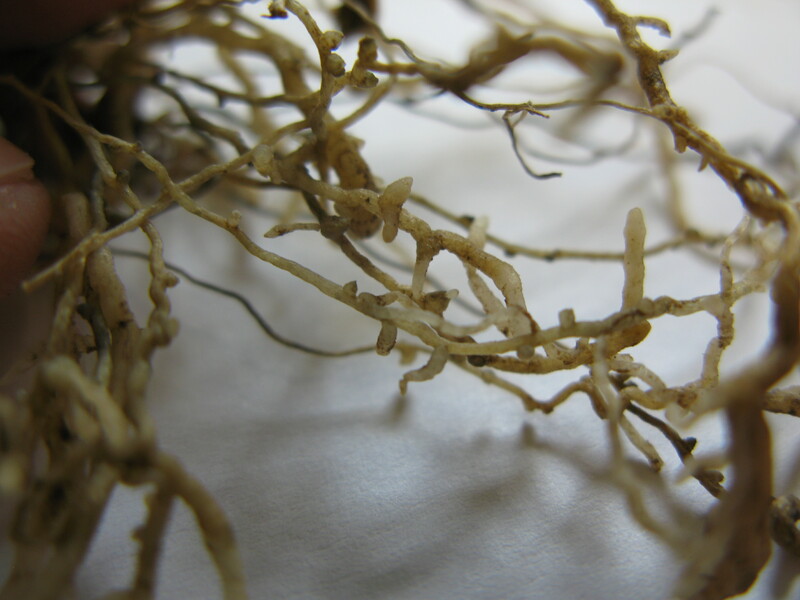 Growing winter wheat tends to give plants a greater chance of developing a strong root system, helping plants tolerate nematode invasion in spring. Reducing plant stress through proper fertilization and irrigation (when necessary) can also help prevent yield losses. Destroy volunteer grasses since they can serve as hosts to CCN. 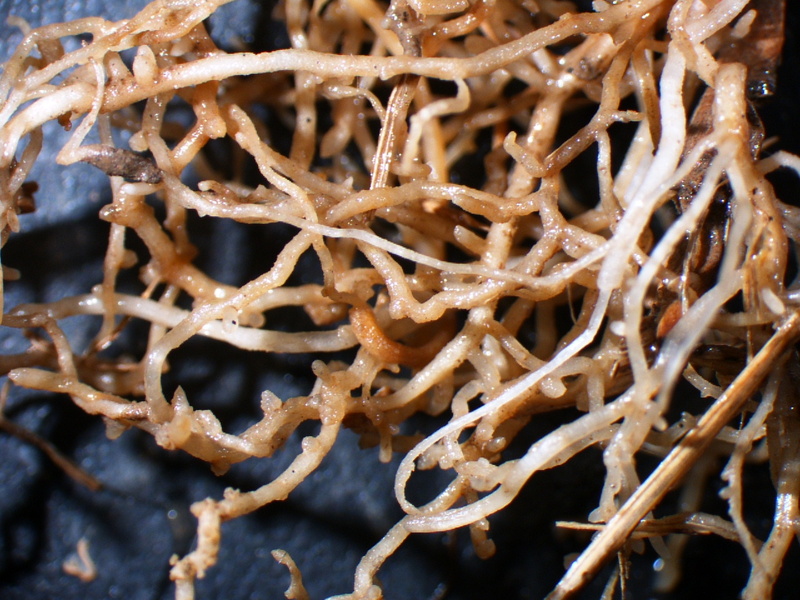 White, lemon-shaped female nematodes may be seen among bushy knots during heading. 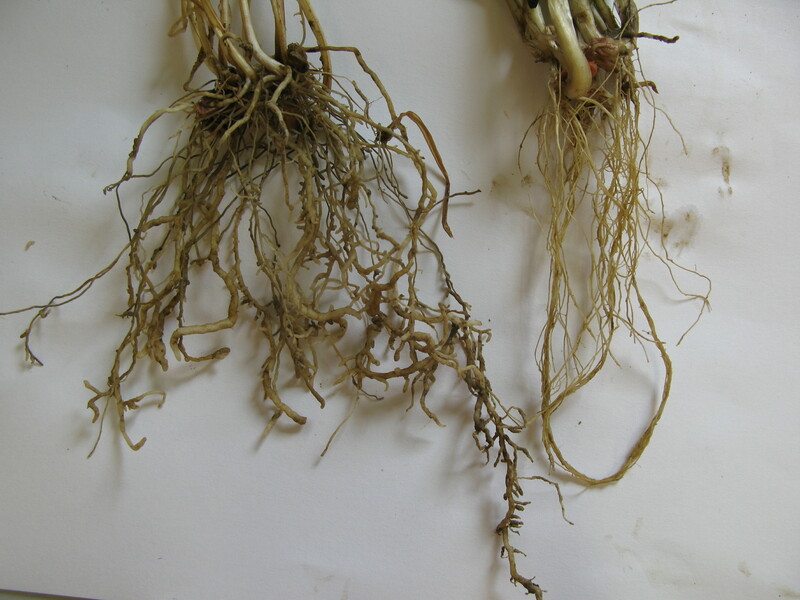 Evidence of cereal cyst nematode infestation on barley roots. 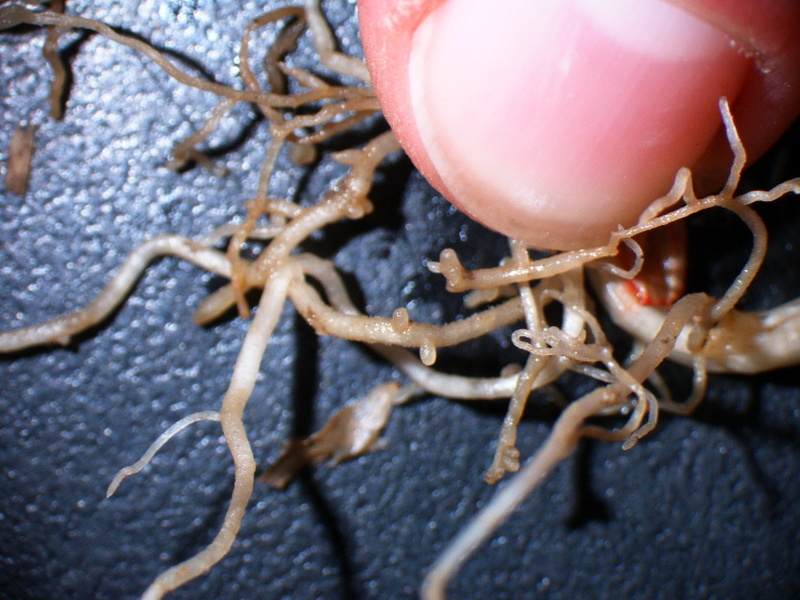 Barley root with cereal cyst nematode females attached to root. 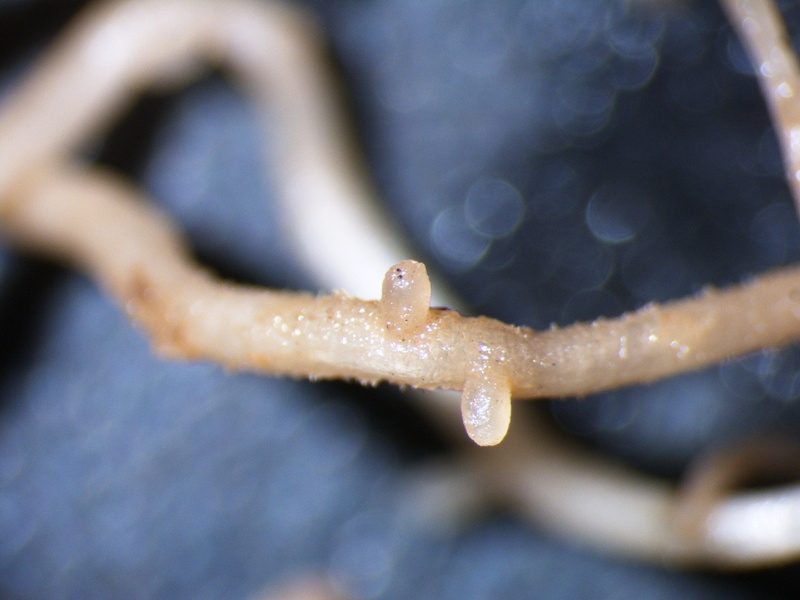 Barley root with cereal cyst nematode females visible.